You may already know this, but my goal is to move into an RV and travel around the country, sharing my love of crafting. There is a lot to be done before I can get there, and one of the most important things is tro try it out first to see if I would actually like the lifestyle. So for Thanksgiving, I visited my good friend Sharon and her husband, Dennis, and their dog, Buddy while they were camping about an hour away. The Thanksiving dinner was a group affair with about 300 in attendance. I didn't get any photos, though, because I was too busy eating! This Christmas decoration really caught my eye - how cool is that! Sharon and I went down to the Saloon and worked on some Christmas ornaments; I wanted to see if the campers there would have an interest in what I had to offer. There really was some interest, but it was hard to compete against the Cowboys and the Raiders. We did get a bunch of ornaments made, though! If you are a member of my Virtual Stamping Club, then you will learn how to make these sweet ornaments in the December club videos. If you are not a member, yet, sign up! Here's HOW. Black Friday Special Starts Today! Buy as many $25 Gift Certificates as you like for $20 each!!!! Buy them for a friend or buy for yourself! This offer is valid from Friday, November 29th through Monday, December 2nd. Gift Certificates hold no expiration date. From my home to your's - wishing you a bountiful Thanksgiving! 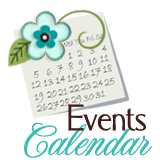 Check out this week's deals! Great savings! And don't forget, the Big Holiday Sale is still happening!! Ups to 50% off! I am so excited about my Black Friday special this year - and I hope you love it, too! Here it is: Buy as many $25 Gift Certificates as you like for $20 each!!!! So, I was looking over the Holiday Sale that Stampin' Up! has ongoing and I noticed some Digital bundles at 40% off. I love My Digital Studio, but I have yet to make a scrapbook with it! I use it for elements for my cards, and flyers, and gift certificates, etc. At just $19.95, MDS is the perfect addition to your crafting supplies. That's a LOT of content!! So, what is a pocket card, anyway? Pocket cards are small, stand-a-lone projects that can be inserted into scrapooking divided pages (like 132544) OR inside a pocket on a card OR as a tuck-in surprise, such as a card inserted into someone's lunch bag. OR.... why not print some pocket cards and LAYER them onto a card? So easy! I'm ordering this bundle today - I think you should, too! If you don't already own My Digital Studio, give it a shot; it's only $19.95 OR you can try it FREE for a month. My friend and stamping buddy made this gorgeous card using a really fun technique: Thumping! In fact, a fellow demonstrator (and one of Stampin' Up! 's few male demonstrators), Kevein T, showed me this technique many years ago. I still call him "Thumper"! To create this look, first ink up the butterfly with Pool Party. Then take a Marina Mist marker and "thump" it all over (lay it down on the brush side rather than using the point). Repeat with a Tempting Turquoise marker. Then stamp the image on Whisper White paper. Beautiful!! Our Many Marvelous Markers are on sale today - a perfect opportunity to get ALL 40 in a handy case! Check out our Holiday Sale on my Stampin' Up! Website!! Many Marvelous Markers (131264) Yep, the set of 40 markers in a really nice case! Just $76.97!! Imagine having all the colors of markers ready to color the world. You might want to get more than one - this would make the most amazing gift! Stampin' Trimmer (126889) Just $20.97! What a bargain for a tool that will make your life so much easier! This trimmer has a longer and wider base and a handy compartment underneath to hold your stuff. Simply Scored Diagonal Plate (125586) for only $8.37! This makes a great addition to your Simply Scored tool! Those deals are available only today, but there are dozens more specials that will be available through December 2nd. Download the Flyer to see them all. This week's deals! But first, a teaser!! Tomorrow starts Stampin' Up! 's Holiday Sale!! The sale will run from November 20th through December 2nd and will feature dozens of products at 20% to 50% off. AND there are some amazing deals that will be available for ONE day only. Tomorrow ONLY, you can get 30% off the whole set of Many Marvelous Markers, Stampin' Trimmer, and Simply Scored DIagonal Plate! I mean, really! A whole set of markers for just $77? WOW! But not till tomorrow, so you have wait a little bit. 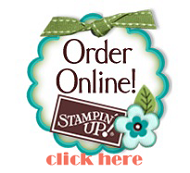 See each product at my Stampin' Up! store! Jutta H! Congratulations, Jutta!! You have a $50 shopping spree!!! Select $50 of whatever your heart desires from one of our catalogs!